Calling all pumpkin lovers! 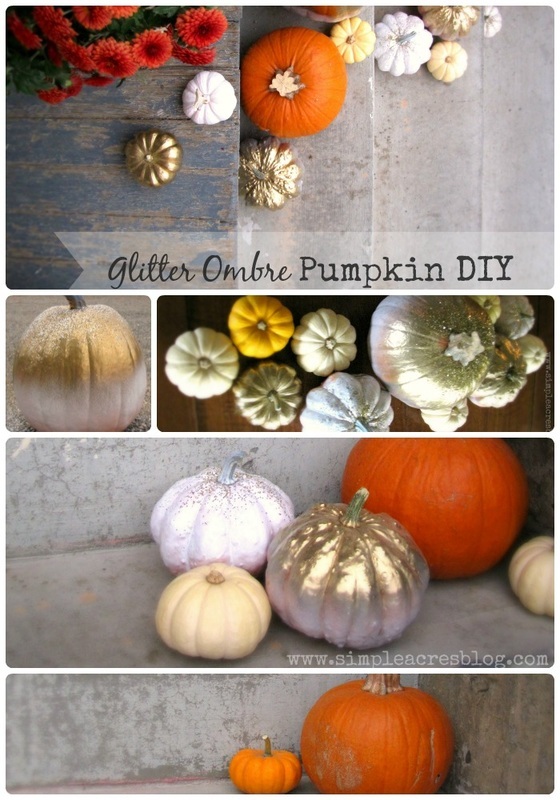 Whether you are a lover of all things pumpkin once the brisk air of September hits or a late starter for Halloween pumpkins or even one that savors them all the way to Thanksgiving, this Autumn Pumpkin Makeover DIY is for you! 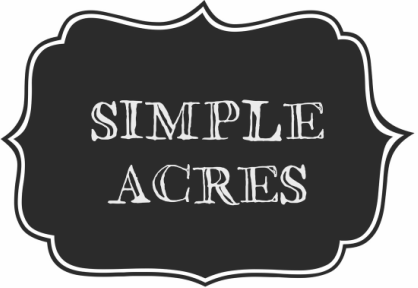 All you need is 5 minutes and a few crafting items to join in the fun! 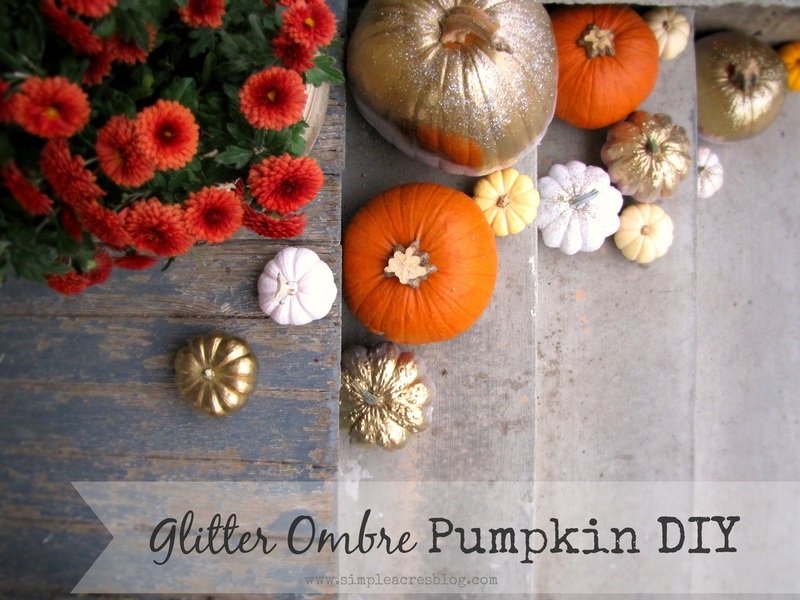 My Glitter Ombre Pumpkin DIY is the perfect Autumn Pumpkin Makeover plan for those of us lovely creatives short on time who love to decorate simply. The picture above is my norm pumpkin effort, but this year I thought I would step up my game with a few simple additions. 1. 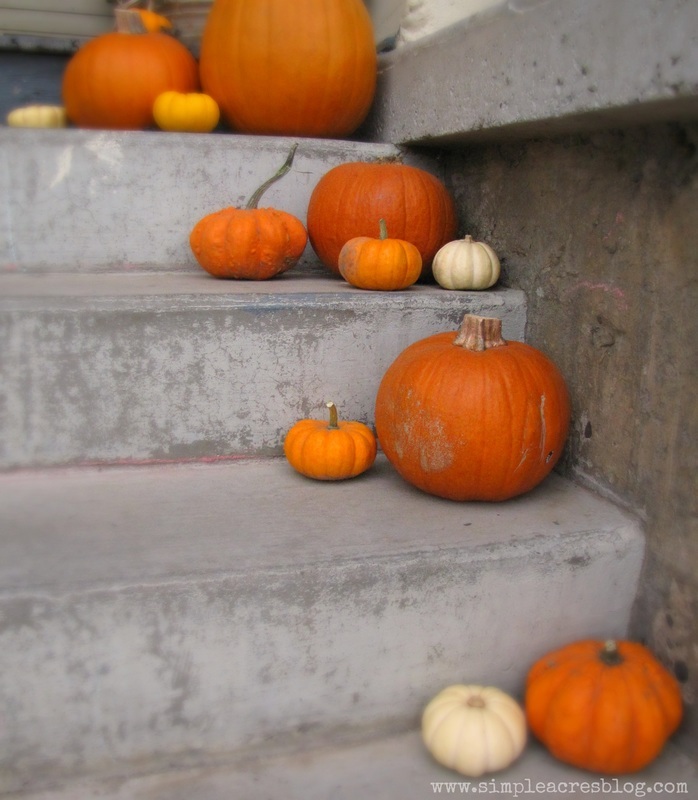 Start with a variety of different pumpkins. 3. 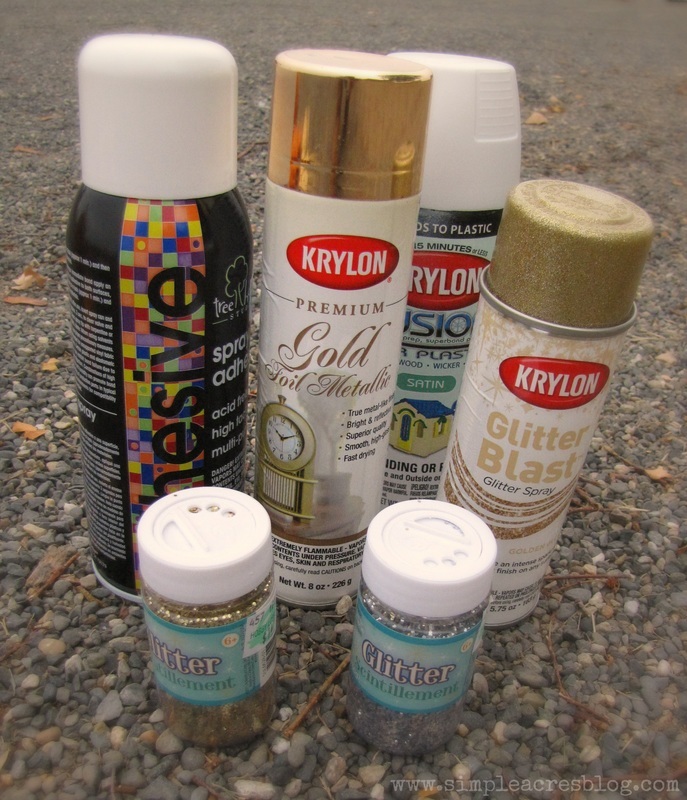 Search your house for random spray paint and glitter. Gather up painters tape if you have it. 4. Tape the stems if you would like them to stay natural color. 5. 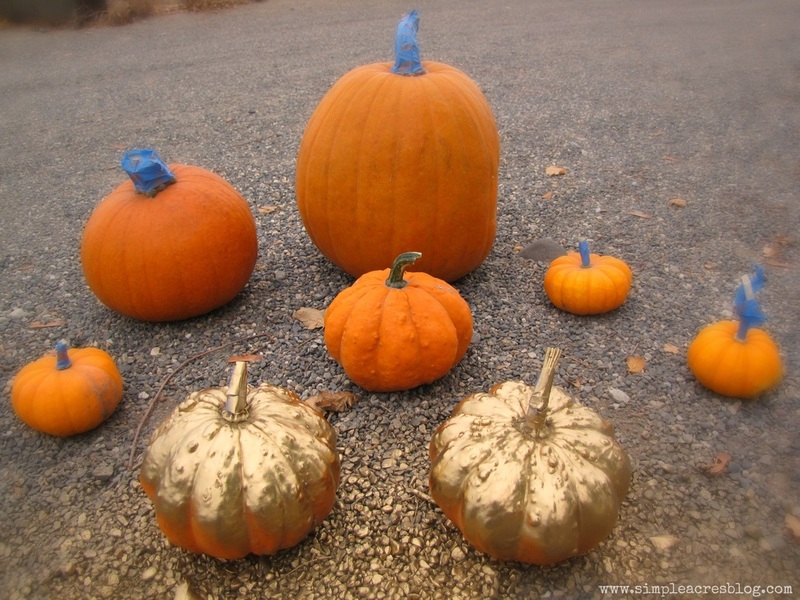 Start painting the tops of your pumpkins a white or gold paint and then spray the bottom the opposite color. Use distant strokes for a blended ombre effect. 6. 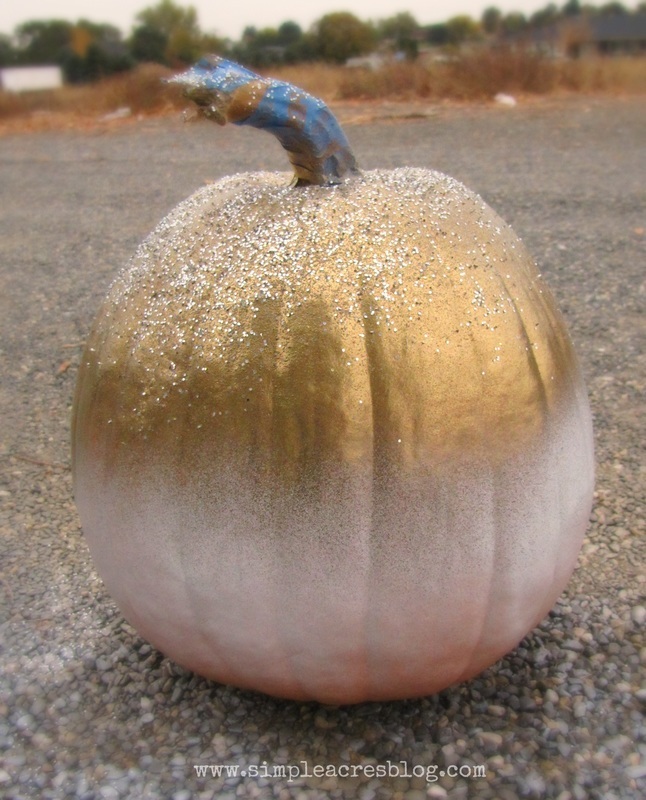 Sprinkle glitter on top of pumpkin. At first I used self adhesive spray but the wet paint worked great with out it! That is it my friends! Easy as PUNKIN’ PIE! P.S. 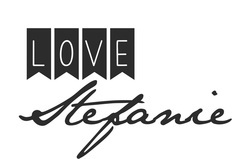 If you are Fall obsessed such as me you may love some of my favorite Fall things as well! I love cozying up to a great book this time of year with a yummy warm drink. Chai tea is one of my favorites! Decorating my home in the Fall is one of my favorite things to do! Look at this cute Fall leaf garland that lights up. I am eyeing this Fall watercolor inspired pillow. My favorite thing to wear this season is awesome flannel shirts as you can see here. P.S. 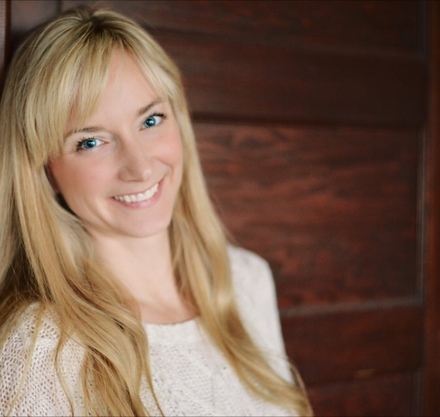 x 2 -Thank you Kasey from All Things Mamma for inspiring me on this one!